Snowflake Obsidian is SiO2 Silicon Dioxide with impurities. Its colore is black with white specs on it, usually resembling snowflakes. 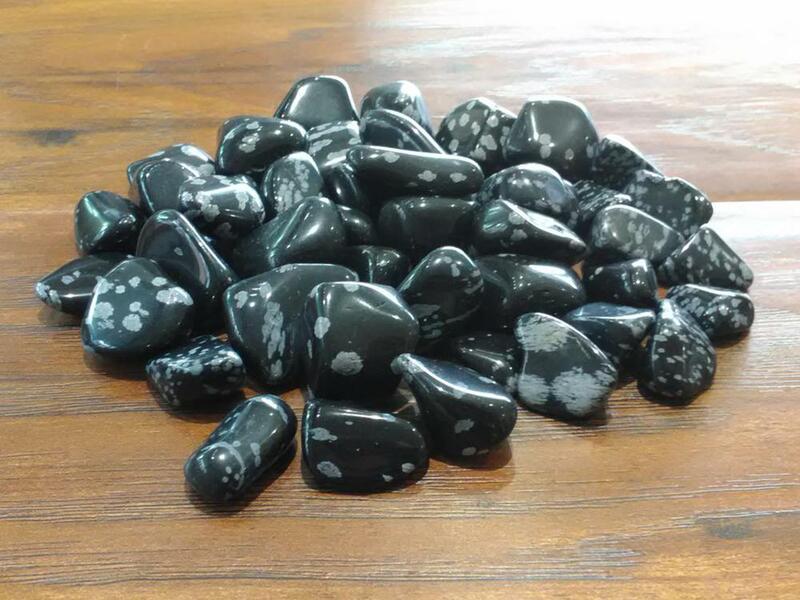 Snowflake Obsidian brings about a balance to body, mind and spirit. Snowflake Obsidian is associated with the skeletal and vascular systems, and is said to support smooth skin. Obsidian is a very grounding and protective stone.